Inside the hidden world of Hasidic Jews in Brooklyn's Crown Heights--a close-knit but divided community. On a cold night in December, the members of a Hasidic anti-crime patrol called the Shomrim are summoned to a yeshiva dormitory in Crown Heights. 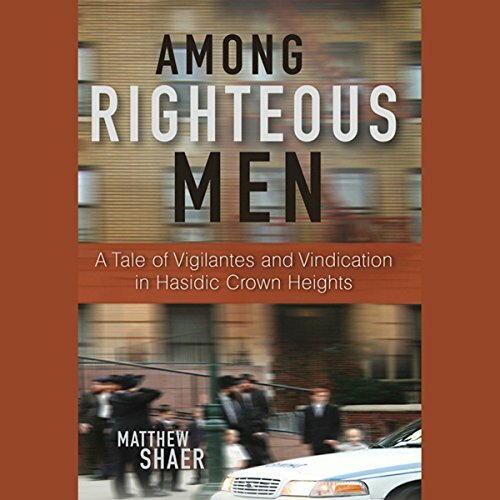 There to break up a brawl, the Shomrim instead find themselves embroiled in a religious schism which has split the community and turned roommate against roommate, neighbor against neighbor. At the center of the storm is Aron Hershkop, the owner of an auto-repair business and the leader of the Shomrim. Hershkop watches as the NYPD builds a criminal case against his brothers and friends, apparently with the help of several local residents, who have taken the rare step of forgoing a ruling from the local rabbinical council. Soon, both sides are squaring off in a Brooklyn criminal court, with the Shomrim facing gang assault charges and decades in prison. What conflict could run so deep it left both sides airing their dirty laundry so publicly? This compelling story takes you to the deepest corners of a normally hidden world. Offers a glimpse in a normally sheltered and private community many see, but few know much about. Centers on an unusual man facing a universal conflict: do you do what's simple and expedient, or do you do follow our heart, your tradition, and your faith?